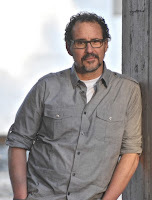 Debunking Christianity: Greg Boyd Joins the Apologetics Hall of Shame. Greg Boyd Joins the Apologetics Hall of Shame. While I was still a believer, I found myself drawn to Greg Boyd’s books, in large part because he seemed willing to wrestle authentically with the tougher questions which challenge Christianity. In particular, I enjoyed his books Letters from a Skeptic, and God of the Possible. Now Greg has a new book out: Benefit of the Doubt: Breaking the Idol of Certainty and Rebecca Held Evans has interviewed him, regarding it. Partway through the interview, she asks him about the violent portraits of God found in the Bible, and how he would recommend that believers deal with these. This of course, is a very convenient hermeneutic tool which allows Christians to distance themselves from, and override, distasteful content in the Old Testament. The writers of the New Testament shamelessly used their ‘new revelation’ to recycle, reinterpret and supersede the Jewish scriptures - as the occasion requires. “…The cross reveals God to us only when we look past the surface appearance that reflects the ugliness of our sin and discern in its depth our gracious God. In this light, I suggest we should read Scripture always asking, where else might we find that God is revealed not by how he appears on the surface, but by what faith can discern as we look past the surface to discern God humbly stooping to bear the sin of his people? …whenever we come upon portraits of God that, to one degree or another, fall beneath the beautiful, non-violent portrait we are given in the crucified Christ, we should assume that the revelatory content of these portraits is, to this degree, not found on the surface of the portrait itself, but in what faith can discern happening beneath the surface as it beholds God stooping to bear the sin of his people." Clearly, Boyd does not want to believe that his god is capable of the atrocious things attributed to him by the writers of the Old Testament. He does not want to take the Bible at its word. That is what drives these elaborate mental gymnastics. This kind of nonsense is the best that a man of Boyd’s intellect can come up with to try and salvage the Bible? Really? He is held hostage to his belief that the Bible is divinely-revealed truth, and the Stockholm Syndrome is clearly evident. When it comes to accounting for the monstrous god who angrily kills and destroys his way through the Old Testament, the options are very limited. If Greg Boyd was unchained by theological pre-commitments, surely he would have the integrity to acknowledge the despicable nature of Yahweh, and the bankruptcy of the claim that the Old and New Testaments form a unified whole, much less a revelation of divine truth. Boyd joins the ranks of Paul Copan, Norman Geisler, and William Lane Craig – defending the indefensible in the Old Testament – taking his place in the Apologetics Hall of Shame. Sadly, his mental gymnastics will no doubt be hailed as cutting-edge theology, especially when he releases his future book-length treatment of this dodge - The Crucifixion of the Warrior God: Reinterpreting the Old Testament’s Violent Portraits of God in Light of the Cross.